This series of photographs is based around the theme of conquering fears. Using the naked body as the screen, frightening images were projected onto the model. 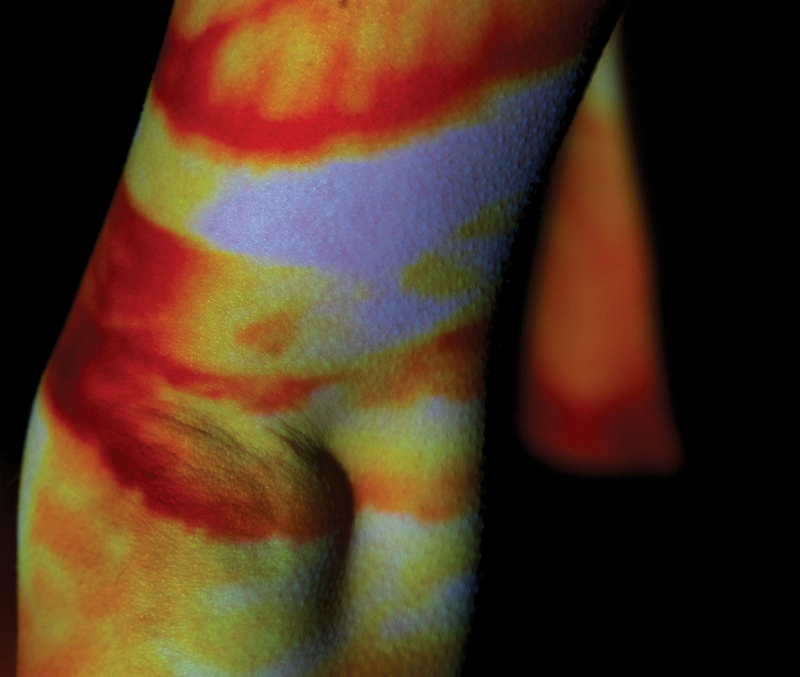 Macro photography was used to capture the relationship between the projected light and the vulnerable contours of the body.